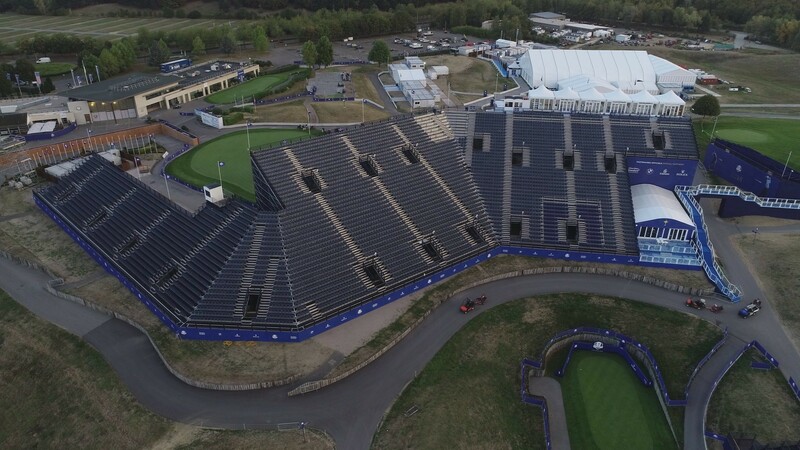 Nolan Associates with GL Events have completed the design for the temporary grandstands and corporate facilities around the Albatros course at Le Golf National course near Paris where the Ryder Cup 2018 will be staged this week. The temporary grandstand to the 1st tee, 15th and 18th green will provide seating for over 6500 spectators along with media facilities. The BBC’s commentary position over the final green is at top top of the vast stand. Nolan Associates and GL Events have provided 9 others grandstands are sited around the greens and tees across the course.